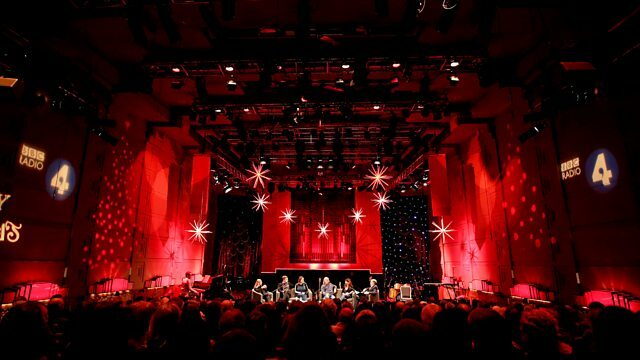 'Christmas Larks' is at London's O2 Empire Shepherd's Bush until Saturday 30th December. 'Larks In Transit' is touring from 29th January until 16th June. ‘Mistress and Misfit’ runs from Friday 26th January to Friday 8th June. 'Choose Love' is open every day at 18 Broadwick Street, London, W1F 8HS until Wednesday 31st January and the store is available online. 'Parsnips, Buttered' is published by Hodder and Stoughton and available now. Joe's UK tour ‘I’m About To Lose Control And I Think Joe Lycett’ runs from Tuesday 13th February to Friday 5th October. ‘Mica Sings Ella’ is available now on Man In The Moon. 'Kiss, Cuddle & Torture Vol. 1' is available now on Shark Free Records. The Hempolics are playing at The Cellar, Oxford on Friday 26th, Severn Theatre on Tuesday 30th and Arts Centre, Norwich on Friday 2nd February. Check their website for further dates.